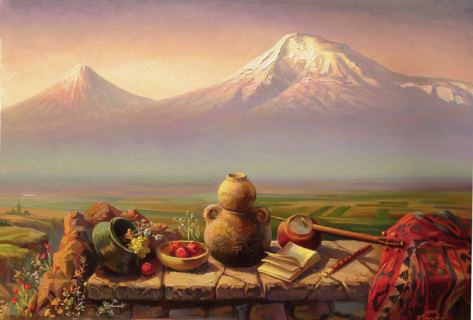 Armenian beautiful mountain Ararat . Armenian amazing still life in special composition with attributes of culture and life of Armenia on the first plan. On the background is the beautiful mountain Ararat. 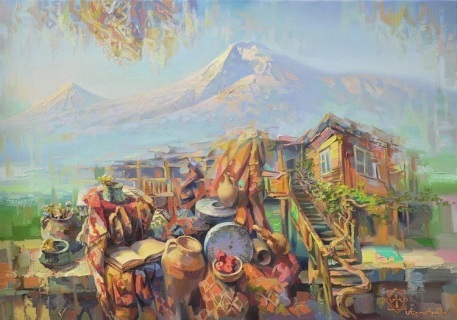 Meruzhan Khachatryan is the author of this wonderful painting compositions. And in these paintings there are so many Armenian ethnic subjects grouped in excellent composition, which carry very deep national and Christianity symbols coming show us the eternal values of our life. 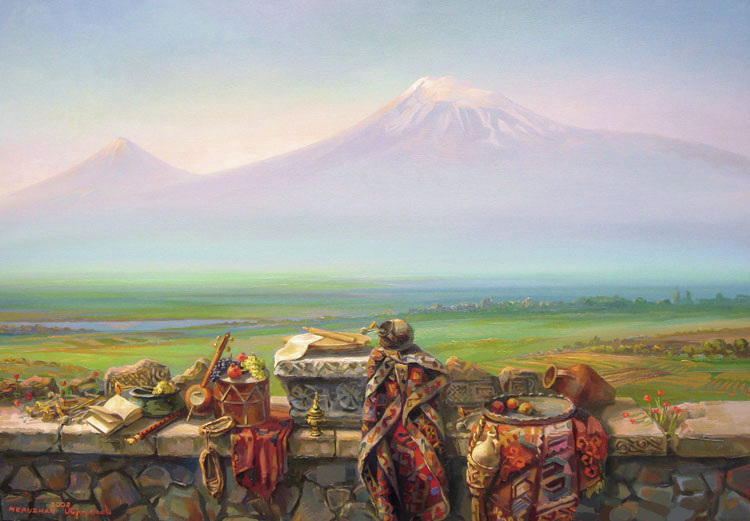 Armenia, my love! Ararat mountain. Dissolved in Ararat... Ararat mountain. 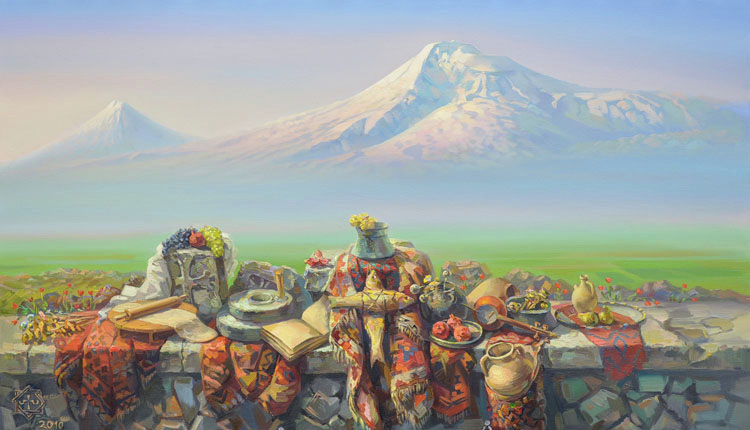 Material: Oil on canvas,Size: 70x110 cm.